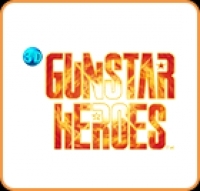 Description: Treasure's visually stunning side scrolling shooter, Gunstar Heroes is now re-mastered in 3D! 08-25-2015 northshiver Description Treasure's visually stunning side scrolling shooter, Gunstar Heroes is now re-mastered in 3D! Treasure's visually stunning side scrolling shooter, Gunstar Heroes is now re-mastered in 3D! Take advantage of Gunslinger Mode by choosing between FREE and FIXED shot modes on the fly and cycling through all your weapons. However, firepower can only take you so far! Go the distance and make it to the long-awaited boss battles with double life with the new Mega Life Mode. Take on the enemies alone or with a friend using two-player co-op via Local Play and prevent the world from destruction. This is a list of VGCollect users who have 3D Gunstar Heroes in their Collection. This is a list of VGCollect users who have 3D Gunstar Heroes in their Sell List. This is a list of VGCollect users who have 3D Gunstar Heroes in their Wish List.